Hair: Long, woolly and curly; can form strands. The coat is furnished, covering the whole body in a natural state. This is an essential characteristic of the breed. 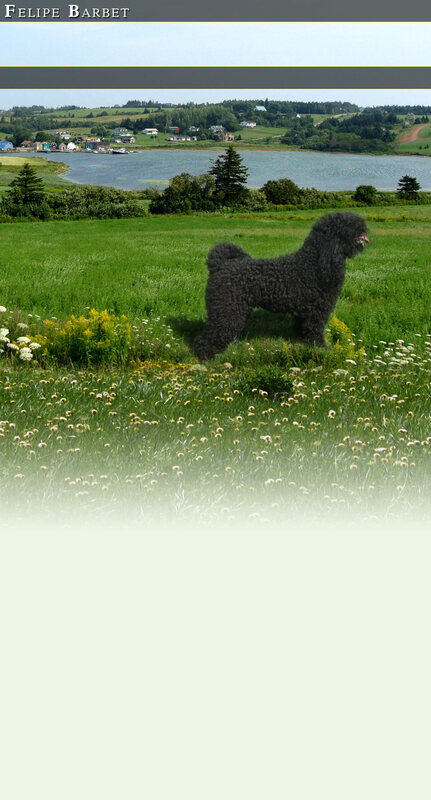 The French Water Dog may be groomed in a specific manner to accommodate its work and maintenance. While owners have different grooming routines, they agree that the Barbet coat is a commitment. Some owners groom their dogs themselves; some use professional groomers. The curl ranges from soft waves to tight curls which changes some of the details. Since there isn't one common grooming process, the BFCA board members agreed to share what they do for their dogs soft wavy curls, tight silky curls, tight (still maturing) curls, and loose to medium (still maturing) curls.